How Far is Hema Abode Twin Bliss? At Hema Abodes private limited we strives to give world class products to its clients maintaining the committed delivery schedules, and we believe in taking a professional approach to every aspect of construction. We believe in building relationships along with building homes which will last for generation. 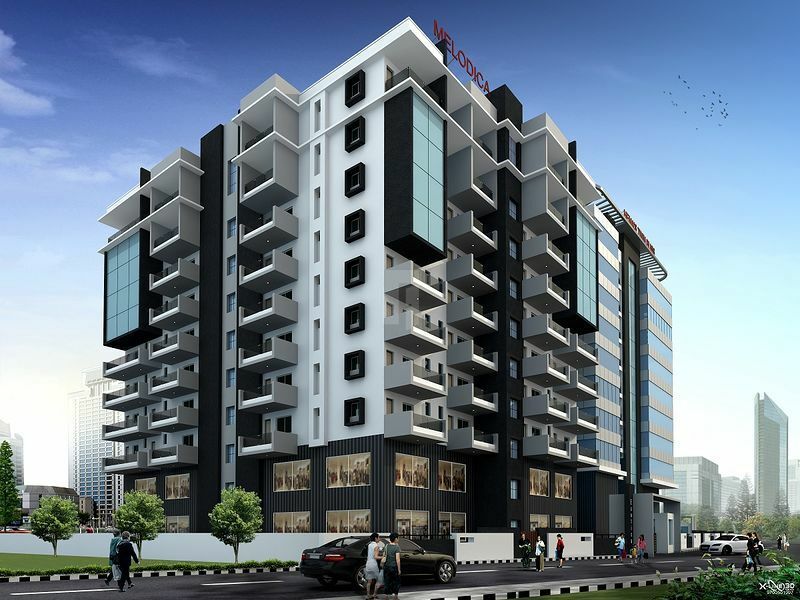 ‘HEMA’S TWIN BLISS’ will become the most recognized name in residential and commercial space in VISAKHAPATNAM. MELODICA the residential tower and EXOTICA the commercial tower are the two arms of the ‘HEMA’S TWIN BLISS’ with a heart of gold, which will inspires many emotions in you. Among them, the emotions like trust and reverence will be embedded permanently in the hearts of people of Visakhapatnam. 1.GVMC approved Mega Residential & Commercial project. ‘HEMA’S TWIN BLISS’. Fully Vastu compliant. 2.Fully ventilated, unlimited sunlight, fresh air and full privacy with breathtaking valley view. 3.Grand entrance and waiting lounges in each residential floors. 4.Centralized VRF AC system for each house which is first in vizag. These AC’s will be installed in each bedroom and living room. 5.Centralized Intercom facility for each flat. 6.Recreation facilities with gym, jogging track and indoor games. 7.Swimming pool for residential complex. 10.Solar water heater system for all bathrooms of residential complex for hot water. 11.High speed, quality lifts and stairs for easy access to each flat. 12.Separate lifts and staircases for residential and commercial complex..
13.Deluxe Quality construction with no common walls. 14.Designer Landscaping all around the building. 15.One level parking (Part of Cellar) for Residential (MELODICA) and two levels of parking (Part of Cellar and total sub Cellar) for Commercial (EXOTICA). 16.Drivers and watchman rest room in cellar. 17.Total construction as per vasthu and convenience. 18.24 hours water supply both ground water and municipal water. 19.24 hours backup Generator for lifts, common lighting and limited power supply (500W) to each flat..
20.24 hours modern security systems for both residential and commercial complex including cellar and sub cellar. 21.Modern fire fighting system for both commercial and residential complex including cellar and sub cellar. 22.AC for all commercial floors. 23.Every residential floor with separate lobby with sofa and tepai. Structure: R.C.C framed structure in accordance with IS code. Super Structure: In table molded bricks with cement, mortar 6” thick for exterior walls and 4” Thick interior walls. Main Door: Teak wood door and frame. Doors: Sal wood frames with well treated flush doors. Windows: UPVC frames and shutters with plain glass and MS safety grills. Flooring: Two by Two vitrified tiles of high quality. Electricals: Concealed copper wiring with necessary power points for all modern amenities, good quality cables, switches, sockets, MCBS, etc. Power points for chimney, refrigerator, microwave, grinder in kitchen power point for TV in living/dining room and master room. Power points for geysers in washrooms. Three phase supply to each unit with meter board and auto changeover switch for each unit . All electrical fittings will be of standard company. VRF AC’s (variable refrigerant flow) Centralized VRF AC system for each house which is first in vizag. These AC’s will be installed in each bedroom and living room. TV/Telecom: Provision for TV and telecom points in living/dining and Master bedroom. Toilets: White color sanitary ware and CP coated brass fittings of standard Company. Ceramic tile flooring with glazed tiles dadoing up to 7 feet height. Ceramic anti-skid tiles for flooring. Provision for geyser in washroom. Hot and cold mixer with shower in all washrooms. Kitchen: Granite kitchen platform with two feet by two feet sink and two feet high glazed tile dadoing above the platform. Provision for fixing water purifying system. Two feet high glazed tile dadoing above the platform. Painting: Wall putty with plastic emulsion paint for inside walls and good quality paint for external walls. Water Supply: Abundant Ground water for 24 hrs supplies and necessary Municipal water connection for drinking water. Lifts: High speed, quality lifts and stairs for easy access to each flat. Separate lifts and staircases for residential and commercial complex. Fire Fighting System: Modern fire fighting system for both commercial and residential complex including cellar and sub cellar. Security Systems: 24 hours modern security systems for both residential and commercial complex including cellar and sub cellar. Car Parking: Part of Cellar for residential (MELODICA) and part of Cellar and total Sub Cellar for Commercial (EXOTICA).